A craft room is a perfect area for organization. And Häfele offers solutions to fit many needs. 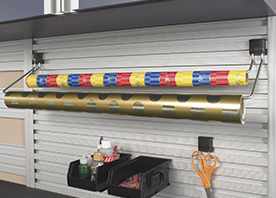 Our flexible paper racks store and dispense a wide variety of paper rolls. 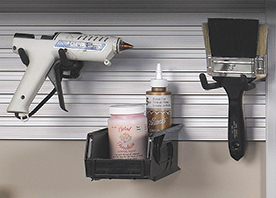 We also can supply storage bins and tool hooks to bring order and efficiency. Select a category below to explore our many options. 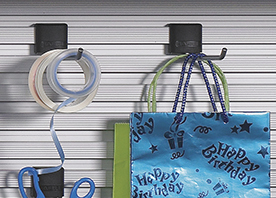 Shop our full line of Craft Room products.